My number one strength is Adaptability. The world is constantly shifting, plans change, circumstances change and life happens; being very flexible and living in the here and now is what works and makes most sense to me. I used to think that plans and goals were limiting. It was not until sophomore year when I realized having a plan does not mean it has to be set in stone, but it is there to help you take the necessary steps towards accomplishing any goals you have. Someone who has the same goal may have completely different steps than you do but you can both end up reaching the same goal. 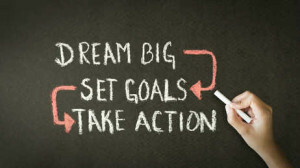 You can have long-term and short-term goals and they can be related to anything. These can be financial goals, career goals, college goals and so much more. The Career Development Center can help you take initial steps to help you towards your career and college goals. Resumes and Cover Letters – Collaborate with you to start or polish your resume and cover letter in preparation for internships and job interviews. Mock Interviews – Prepares you for a real interview and gives you tips on what to work on before a real interview. Networking – Give you tips and ways that you can start networking while still in college. Job Search- Create a plan for how to best use job search tools and websites. Grand Valley State University Career Fair is a great opportunity! It will be held at DeVos Place Convention Center in Grand Rapids, this coming Thursday February 22nd from 1-5 pm. Call and make an appointment with the Career Development Center team and we are happy to help you towards your career or college goals. January is almost over and we hope that you have found a good rhythm for the rest of the semester. Hiring season is here! We are super excited to let you know that the Career Development Center will be hiring for next fall. You will have the opportunity to join our amazing team and become a Career Advisor, helping around the office in a variety of manners. Here’s a mini checklist which can be used if you are interested in becoming a Career Advisor, looking for an internship in the summer, or any other job opportunity. You should have a resume and it should be updated. Feel free to bring it to our drop-in hours to get yours looked over. If you are applying to different places, always tweak your resume to suit each place and personalize your skills. Think of cover letter and resume as a marriage. Your cover letter should highlight you beyond what’s on your resume, and give you the opportunity to expand on a few things that are on your resume. Include information about the organization you are applying to. This shows them that you are intentional and care enough to do thorough research. Make sure the font and header match the style of your resume (remember marriage!). Interview practice is important. Getting more detailed information about the company and doing a mock interview can make you much more prepared and confident. This will show during your interview! If you have not started on your resume, cover letter, have any work experience, or have any idea on where to start, no need to stress about it. All you have to do is walk down to the Career Development Center during drop-in hours, which are between 3:00-4:30 PM, Monday through Friday. You can have a 10 minute sit-down with a Career Advisor to get you started in the right direction. If you are interested in becoming a Career Advisor, be on the lookout for the posting on Handshake for more information! There are a lot of negative connotations that can be associated with members of Greek life. A lot of people assume that being part of a sorority or fraternity means that all you do is party, have a low GPA, and that it does not help you after college. However, what people do not realize is that a lot of this is not true. They are a lot of positives and learning opportunities that come with being part of Greek life organization. The skills that you use to connect with your peers during Rush are skills that are transferable to impressing a future employer for a job or internship. Once you are an active in a Greek organization you have made connections with brothers or sisters which may be beneficial to you in the future. Being a part of Greek life means that you must fulfill various duties and responsibilities. Being able to juggle your school work, attending events within your organization, having a social life, working and still managing to get a decent amount of sleep is not an easy thing to do. Managing to do this, will build on your organization and time management skills. Sororities and fraternities have events that they organize and participate in. This involves a lot planning and coordinating with each member of the sorority or fraternity. This also allows you to learn to work within a team, which is an extremely helpful skill to have. There are different leadership roles within a Greek organization. If you get one of these roles you have the opportunity to build your skill set and learn the dynamics of your leadership style. There are a number of meetings and events Greek organizations have. To make this work there has to be a lot of effective communication within the organization. Being able to effectively communicate and having your ideas and messages understood is essential not only to your work life but your personal life. Members of Greek life have to learn to deal with conflict within the organizaton. It teaches indiviudals to work together towards a common goal even if members do not always see eye to eye. One of the most important aspects of Greek life is giving back to the community. Every member within an organization must meet a required amount of hours of community service per semester. This should hopefully instill a sense of selflessness, (which I believe is a great thing). Being part of a sorority and fraternity gives members a chance to polish and perfect their skills that transfer into many aspects of life. One of the most important aspects for me is that it provides a strong support system, which I believe is essential for a human being to survive and thrive. 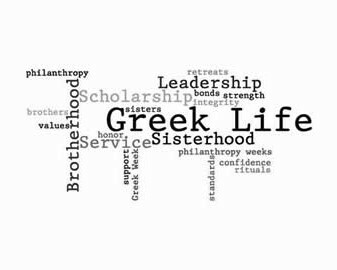 Greek life has a lot of positives and I hope after this read you see that too! Samantha “Sam” Stevens graduated in 2017 with a major in Psychology and a minor in Engineering. After graduating Sam moved to Austria where she currently lives working as an au pair. She is also currently pursuing a Masters in Organizational Leadership through Gonzaga’s online graduate school. Sam was kind enough to answer our questions, and let us share her story. What interested you the most about Psychology and Engineering? Coming into Hope, I really thought that engineering was going to be the path for me. In high school, I always excelled in the math and sciences; it just seemed like the natural next-step. As an eager freshman, I set up my four-year plan in the engineering department. However, as my classes began I felt a disconnect between my head and my heart; I didn’t quite feel like it was just the right fit for me. By my second semester at Hope, I was already experimenting in just about every different academic department the school offers! From the pre-med track, to education and a composite-major; I tried it all! My junior year I ended up declaring an engineering major because I knew it was something that I could finish in time, do well, and it also gave me job security. Engineering aligned with my skills, but not necessarily my heart; my identity was not woven into my work. With the patience of a lot of mentors, professors, and loved-ones, I was encouraged to listen to those heart-tugs. They could see something in me that I couldn’t see in myself. I am such a relational person, I love people. Studying the way we function was so exciting for me! I found a home senior year with the faculty, staff, and students in the psychology department. I was still able to exercise a bit of my math-science brain as I finished my engineering minor. The two fields are more connected than I ever realized (of course, we engineers do things for people!). I am sure my background in both will serve me well some day. It took a lot of patience and experimentation. 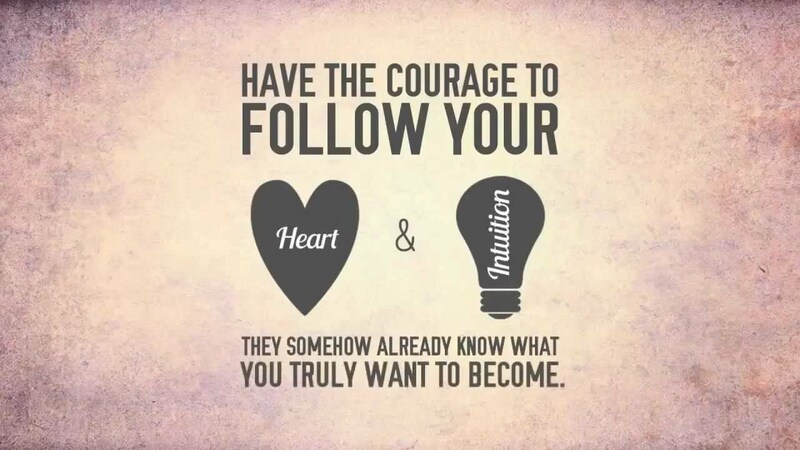 Eventually, I found a path that was life-giving because I could work out of my strengths, passions, values, and skills. It’s out there for everyone, I just think it takes some digging to find. In what ways did you begin to listen to yourself and your own opinions on what you should do post-grad? I’ve always had a curiosity about the world, I love to travel and experience new cultures and places and people. I wasn’t quite sure of a career path, I thought I’d take some time to nurture this “travel-bug” while I was discerning the “next best” and work as an au pair in Austria. In the time between committing to the au pair experience and graduation, I also (thanks to the CDC) learned of a masters program in Organizational Leadership. I found one online from Gonzaga University that also has a concentration in Servant-Leadership; an academic program focusing on developing leadership practices while serving others…I was sold! It was something that bridged the gap a bit between my psychology and engineering experiences. It also allowed me to tap even further into my own natural inclinations and strengths, plus I could work on it from Austria. I found the “next best”. How do you feel that your experience at Hope helped you become who you are today? Oh goodness, that’s an even tougher one! Hope College had a hand in shaping me in more ways than I can count. I was built up and encouraged by the strongest community I have ever experienced. I was invested in by countless staff and faculty members in a way that drives me to do the same to others. My worldview was greatly expanded during my experiences abroad and on campus alike. In the greatest way though, during my time at Hope my faith was nourished to growth I could never have imagined. I came to know our God deeply and found roots just as deep in His Word, His promises, and His character—and I feel so confident in those roots alone walking through all the seasons that lay ahead. A liberal arts education is one that can open a door to thousands of possibilities. I loved Sam’s story, because she managed to combine the two things I need and want to do…attend graduate school and travel the world. Her story gave me insight into what it looks like to follow your dreams. It also gave me hope, in the sense that not having everything figured out by now does not mean I am ruining my life. I hope you gained something as well! There are people who are passionate about helping individuals who experience injustice in their everyday lives. There are people who want to incorporate their faith and their work. These are people with passion, with a heart to serve those who struggle to serve themselves. If this sounds like you, DART is an organization you might be interested in working at some day. As the Direct Action and Research Training Center, DART is a nonprofit organization that works together with independent church congregations towards this common goal. DART congregations are based in seven states and work to build power, win justice, and transform their respective communities. DART works alongside congregations to find the root causes of problems in their areas and work to negotiate solutions to these issues. Q) How did you get connected with DART? A) I saw the DART posting in Job Stop when I was a senior at Hope. It looked like a perfect fit with my interests and career goals, so I applied! I participated in the interview weekend in Richmond, VA. I was hired in June 2015 and had the opportunity to become the Lead Organizer in Richmond last April. Q) What made you interested originally in DART and their mission? A) I was looking for a way to live out my faith in the world. I wanted to find a way to serve the Church in its mission to bring God’s kingdom on earth. My experiences at Hope, like the Emmaus Scholars, involvement in Campus Ministries and spring Break Immersion trips helped me come to an understanding; that my faith calls me to bring restoration & justice in the here & now. Q) What is your favorite part about working at DART? A) Well, I have two favorites. One is definitely the volunteer leaders I get to work with! 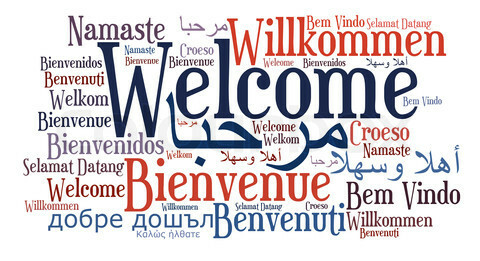 RISC has 20 faith congregations with diversity in every sense of the word, with many dedicated volunteer leaders. A big part of my job is developing these leaders. I coach and challenge them to take leadership for organizing their congregations to do social justice work, research, and develop solutions to our community’s most serious problems while holding our local decision-makers accountable. I’m also always on the lookout for new leaders and ways to get them involved. It brings me joy when I see someone grow in leadership skills, an understanding of their purpose, and commitment to changing our community, and to know I had a part in that growth. Q) What would your advice be for students looking to work in social justice-related jobs? Take the time to discern how your faith is calling you to serve and restore the world. Campus ministries, your professors, and faith formation programs are some of the ways that Hope helps you dig into this important question. Take those opportunities seriously, whether your major is Religion, Spanish or Chemistry. Build relationships with people who aren’t fellow college students. Get to know professors, college staff, chaplains, and people you meet in Holland or pastors at local churches. This can provide, not only some potential advice and guidance for your life, but can equip you for relationships in the real world. Be curious, learn about people, and you’ll be prepared for a job that’s focused in large part on relationships. Larinks heart for justice shines through her work at DART institution. Social justice careers involve working with marginalized groups. They try and bring equality and justice in society to those who do not have it. These careers are very important because it gives the opportunity for voices to be heard and for bridges to be built between under-represented groups and the rest of the community. People in this field show the world they care enough to try and right the wrongs we know exist. Organizations like DART are crucial to our communities.